They weren’t a favourite and now they are. 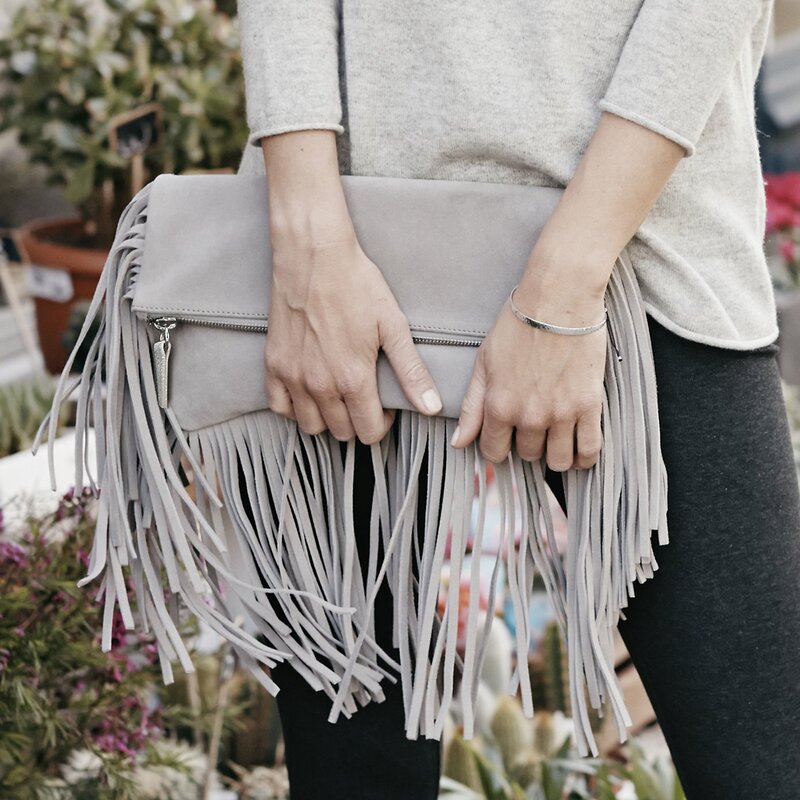 Fringed bags. Are you with me or not?! When fringed handbags first came on the scene, I really didn’t like them at all. They just didn’t do it for me but as is sometimes the way with these things, they have steadily grown on me and now I’m on the look out for just the right one. Personally I prefer the softer shades of grey and camel – again I don’t really know why that is but somehow I find them just a little less harsh than black ones. This leather tassel hobo bag (£65) arrived in Topshop only this morning and the colour is gorgeous. The slight downside for me was that although the handle could be lengthened, it still wasn’t long enough to be worn as a cross body bag. 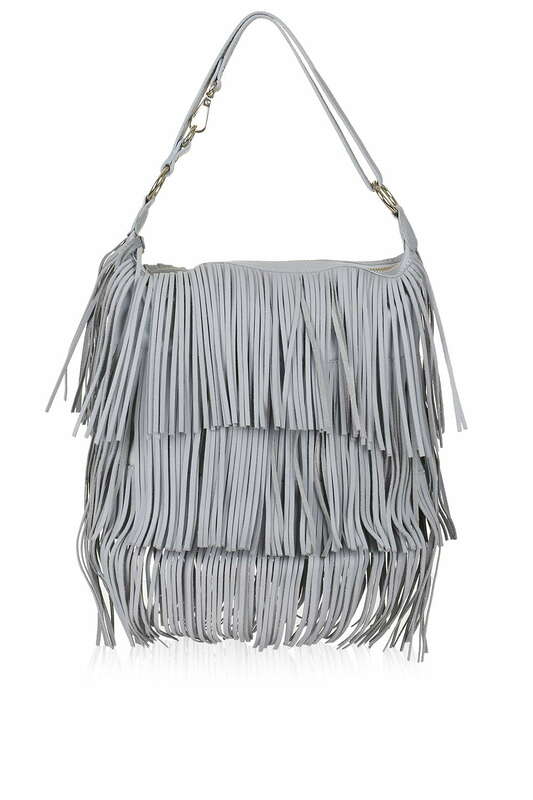 Also, whilst the fringing is 100% leather, the bag itself is made from nylon, which for its £65 price tag is not entirely surprising but I did feel a little bit conned when I rummaged under the tassels only to find grey nylon. 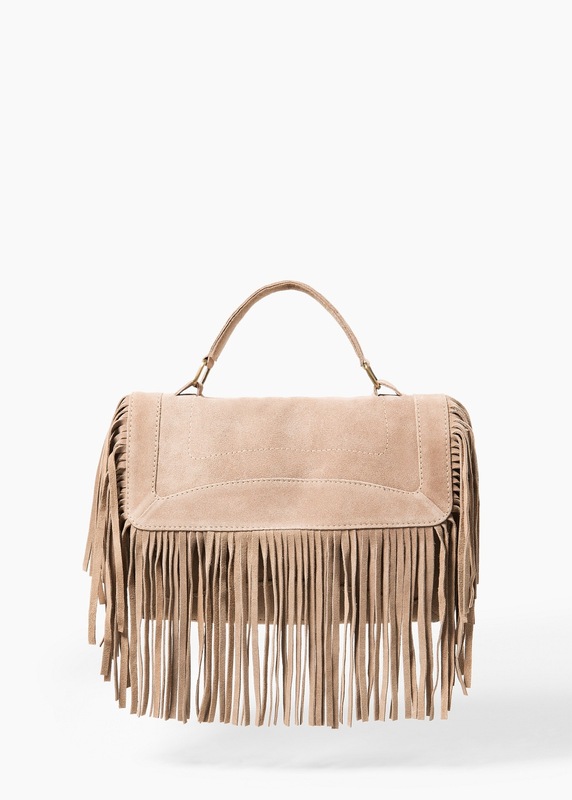 Now I’ve had my eye on this fringed suede bag from Mango (£69.99) for quite a few weeks. Today, whilst in Birmingham, I found it in our new Mango store. I gave it the good once over but decided to look a little further before making a final decision, namely at this one from…. ….The White Company which is £129 (and which a friend expressly told me NOT to look at as I would fall in love with it. She may just be right.) Although it’s described as a clutch bag it also has a strap, so it can be worn as a cross body bag – and I do like having two hands free. It also comes in stone too, making it doubly lovely. 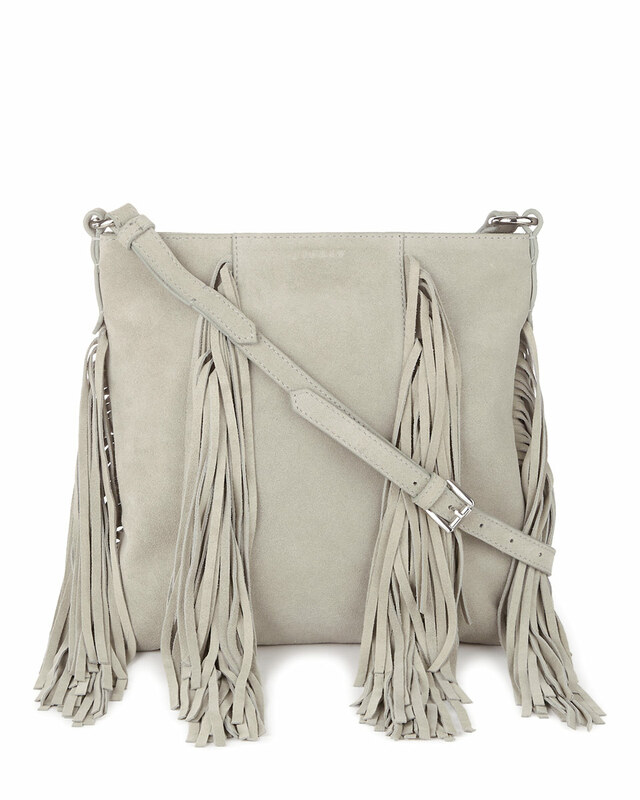 And finally on my hit list, there’s this equally gorgeous Jigsaw fringed cross body bag which is £98. I haven’t yet seen this one in the flesh but I’m sure that it’s only a matter of time. Previous Post Wearing a lovely necklace from Yosa and some printed pants! Next Post Skinted vs minted – Topshop vs Russell & Bromley. Who is going to come out on top?